Blockchain has hit the entire world by storm, nobody can deny that. People all across Europe, Asia, and the Americas are delving deeper into the world of blockchain and fintech everyday, and with that comes the growing need for blockchain and fintech projects to have their information available in multiple languages. Chances are that your team isn’t necessarily fluent in all the languages it needs, which is where we come in. PolyTranslate is a blockchain and fintech-focused translation agency created with technical perfection in mind. Sure you could just have a friend or bilingual coworker translate your whitepaper, but get the translation incorrect and important points could be lost in translation or it might become unreadable altogether. 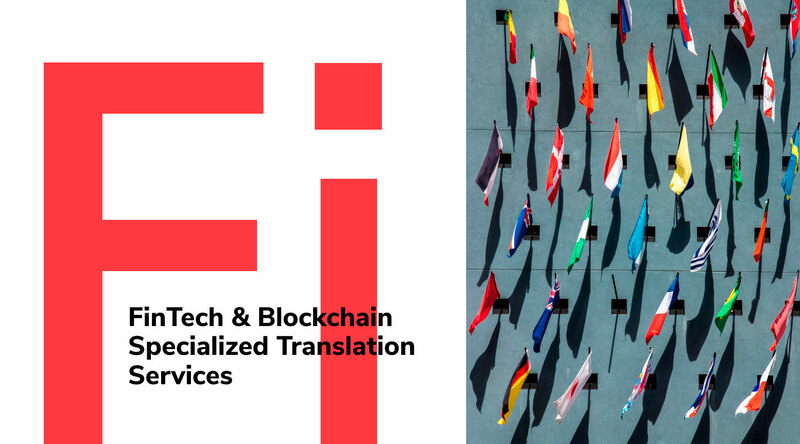 And sure, you could go with just any regular old translation agency that will translate for cheap, but the quality is nowhere near what you get when your translators are well-versed in the world of blockchain. At Polytranslate, we have a dedicated team of translators, all with over a year’s worth of experience in the field of blockchain and fintech, making them masters of terminology in these areas. You can make sure that your documents are in good hands with our seasoned professionals. Within each translation, we make sure that the correct terminology is being used so that your document carries the same weight and has the same effect in each and every language it’s translated into. Our main focuses are website translation, whitepaper translation, and marketing content translation. Making sure your website and whitepaper are accurately translated is imperative to the survival and exposure of your project. We’ve all seen a whitepaper or two that was translated so awfully into English that we didn’t even read it. Don’t let that be your project! As for marketing materials, most companies focus on one language (usually English) and that’s it. But imagine the exposure and widespread promotion your project could get if you added even just one more language. For the sake of decent promotion of your project, make your life easier by having seasoned blockchain translators take your project to the next level. Polytranslate is an excellent choice for all of your tech-related translation needs. We work within your schedule, support a number of different languages including Russian, Chinese, Japanese, and Korean, and our specialization is to tailor all of your content to the market of your choice. If you’re interested in promoting your project on a foreign market and need professional, native-level translation, please head to our website for a free estimate (https://polytranslate.com/?utm_source=press-release&utm_medium=news&utm_campaign=pr). Also, follow our blog on Medium for more posts all about blockchain and fintech translation (https://medium.com/polytranslate)!